“What needs darkness to grow instead of light?” she asked me one night when we were younger. “I give up,” I finally said. 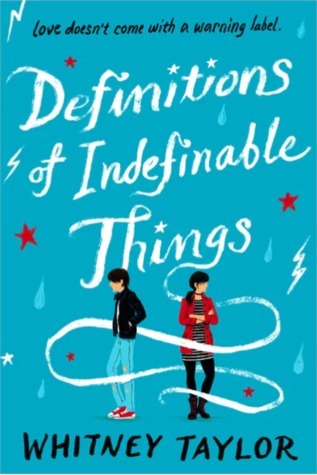 This book is impossible to describe. One can only experience it, trust me. Beautifully handled mystery. It doesn’t unfold all at once, and it’s hard to pick up on all the pieces which makes for some really wonderful surprises. The writing is ridiculously gorgeous – seriously. The writing in this book is making me fall in love with magical realism all over again. 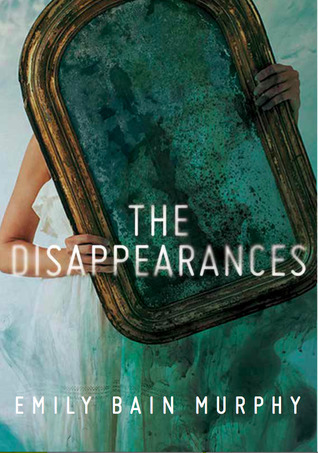 The Disappearances has it all: heartbreak, thrills, love, mystery, and laughter. The world building alone was mind blowing – the small, little town was so compelling and it crafted the perfect atmosphere for the story. SIBLING RELATIONSHIPS! Ugh. Well done. How many times can I say magical before you read it? How does anyone know they’re depressed? You feel equally alive and dead and have no idea how that’s even possible. And everything around you doesn’t seem so full anymore. And you can’t tell if the world is empty or you are. That’s how I knew. I realized it wasn’t the world that was empty. Handles depression, angst, and hard topics like teen pregnancy with a snarky, sarcastic, and refreshing voice that doesn’t drown you in it. Beautiful depiction of how everyone wears masks to hide themselves and their feelings despite everything else going on. Very easy to relate to this aspect of the book. Reggie’s voice, while almost overly sarcastic, adds new layers to the novel because of her attitude. It’s not an insta-love romance. It’s a romance born out of feelings – feelings that aren’t even good, but they’re feelings in a sea of nothing and that makes them important and worthy of clinging onto. The writing in this book reminds me of why words are so powerful. A sentence can be so simple on the surface, yet so deep within context. The characters are not meant to be likable, and they aren’t. You don’t like them, their choices, what they’re doing and how they are living. But you can understand them because they are so real. They grow on you, and though you never actually like them, you start to care. I read This Raging Light back in December of 2015, yet I still remember the vividness of the emotions that book dragged from my body. 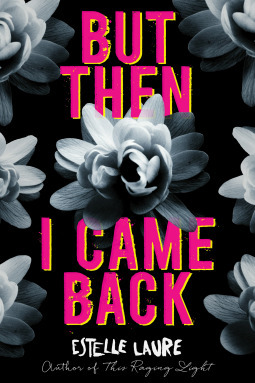 Estelle Laure is a master of crafting heartbreaking, hopeful, and utterly destroying contemporary novels – and But Then I Came Back is no different. But Then I Came Back is unique, charming, and surprisingly profound. After seven months as a captive of Minerva, the insane Alpha queen, Lyric Walker has escaped to the surface. Her only goal is to warn the world about the Great Abyss. When she finally arrives back in Coney Island, she discovers a world she never expected, one where humans and Alpha are finally working hand in hand to rebuild the country. But she soon discovers that an old enemy allied with an old friend may kill them all before the monsters get their turn. Where will Lyric’s loyalties, and her heart, lead her? With nail-biting action and romance, Michael Buckley’s epic trilogy draws to a stunning conclusion. Sometimes, writing reviews for books you love is difficult. Sometimes, it’s even harder to say goodbye to a series you’ve been in love with since day one. Heart of the Storm immediately follows the events of Raging Sea, to an extent. 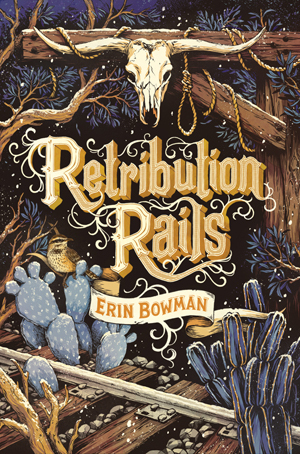 It’s the first book in the trilogy to jump back and forth through time – highlighting Lyric’s time while captive as well as the current events after her escape. 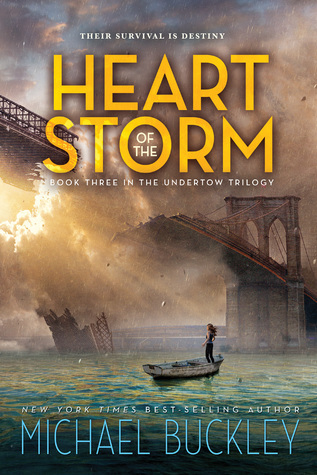 Heart of the Storm is a brilliant conclusion to a series that has sunk its claws deep into my being. I’ve been a fan of Lyric and her gang of misfit friends since the start, and now it’s time to say goodbye. Our lives are, like these woods, ever changing. Nothing is static. And so you cannot count on an easy, carefree life to always remain that way. Or a harsh existence to stay the same. My gosh! Oh, how I love fantasy. 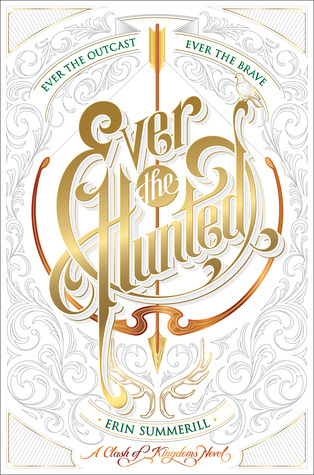 Not only was Ever the Hunted unique, original, and exciting, it also held favorite elements from stories all around. It was brilliant, thoughtful; and I devoured it in less than five hours. I have no idea how to describe the sheer wonder of the experience I just had – everything is so fresh in my brain. It was a virtual reality, visceral, moving adventure.